Greetings again from the darkness. When war hits close to home, the grieving of surviving family members never ends. 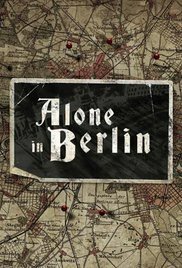 At the end of World War II, author Hans Fallada was given access to the Gestapo file of Otto and Elise Hampel. Fallada wrote a 1947 novel based on their story, and in 2009 it was translated to English for his bestseller “Every Man Dies Alone”. 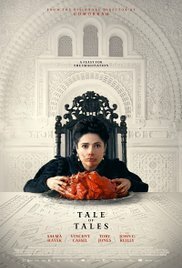 Director Vincent Perez collaborated with Achim von Borries and Bettine von Borries to adapt the novel for the big screen. Otto (Brendan Gleeson) and Elise (Emma Thompson) play a mostly quiet, working class couple who pay the ultimate price for a cause in which they don’t believe. Their protest takes the form of a clandestine 2 person operation. They systematically distribute postcards with anti-Hitler messages … nearly 300 of the cards between 1940 and 1942. It’s a drip campaign that takes the form of non-violent political resistance, and certainly rankles those of the Third Reich. Daniel Bruhl plays Escherich, the Nazi officer put in charge of the investigation (labeled Operation: Hobgoblin). He is charged with finding the source of the cards and punishing those responsible. 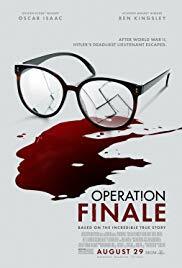 As the hunt drags on, Escherich is presented as a Nazi with a conscience, and bears the brunt of his superior’s frustration, while living in as much fear as those he is chasing. The film has a somber tone, and somehow never generates the tension or dread that this couple must have been dealing with on a daily basis for so long. In fact, Alexandre Desplat’s score seems to fit a movie much more intense than what we are watching on screen. Mr. Gleeson delivers his usual grounded and believable performance despite a script that could have used a bit more potency. The film does deliver the always powerful message of having no regrets when you are standing up for what’s right. Greetings again from the darkness. Tackling one of the great American novels is a difficult challenge for even the most seasoned film directors … and a dubious undertaking (at best) for a first-timer. Philip Roth won a Pulitzer Prize for his 1997 novel “American Pastoral”, and there have been rumblings of a Hollywood production for more than a decade. It’s somewhat surprising that the screen version is directed by first time director Ewan McGregor … with the Scottish actor also taking on the lead role of local Jersey boy and sports hero Seymour “Swede” Levov. The story examines the cracks behind the façade of a seemingly perfect family … the sports hero marrying the beauty queen. Of course, there is always more going on within a family than most care to admit (at least that was the case in the days prior to Facebook). There’s an early scene where Swede has introduced Dawn (Jennifer Connelly) to his father (Peter Riegert), and the philosophical and religious differences perfectly capture the changing times and mores from one generation to the next. Never has this been more true than the late 1960’s and early 1970’s … political and social upheaval were daily occurrences – and sometimes quite violent. The first half of the movie is exceptionally well done and captures the essence of why the second half feels like a total decimation of everything Swede thought he had. He and Dawn’s daughter Merry is beautiful and feisty and stutters … something that only enhances the anger she expresses and anguish she causes for her parents. Her innocent questions as a young child evolve into radical political beliefs and affiliations as she grows up. Merry (ironically named) is by far the most interesting character in the story, but with the focus on Swede, Dakota Fanning only has brief moments that are worthy of her talent, and Dawn has only a few emotional moments that allow Ms. Connelly to flash the acting depth she hasn’t shown in years. So much time and attention is devoted to Swede that the second half is a bit of a letdown and leaves too many details and questions unanswered. John Romano’s (The Lincoln Lawyer) adaptation of the American classic took a different direction than we might have preferred, but it’s a thankless job since so many have considered this as unfilmable. 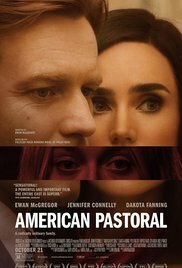 McGregor shows a good eye as a director, though it’s obvious this material needed a more experienced filmmaker at the helm. The great Alexandre Desplat provides a classy score … the piano pieces are especially well suited. Supporting work is solid from David Strathairn as narrator Nathan Zuckerman, Rupert Evans as Swede’s brother, Molly Parker as Merry’s therapist, Uzo Aduba as Swede’s employee, and Valorie Curry as a misguided revolutionary. It’s a reminder that family dynamics may be the most complex organism, and when blended with the volatile times of the Vietnam War, a generational gap should be expected … even if it’s difficult and emotional to accept. Greetings again from the darkness. 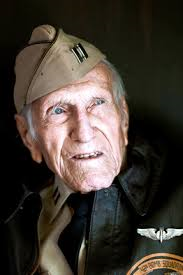 Louis Zamperini was a true American hero and his life story is epic and legendary. The son of Italian immigrants, young Louie easily found trouble, and only the efforts of his older brother and a local police officer allowed him to discover inner strength through his talent for distance running. As a 19 year old, Louie ran in the 1936 Berlin Olympics, and later enlisted in the Air Force and served as a bombardier during WWII. After a horrible plane crash, he spent a grueling 47 days adrift at sea in a life raft, until rescued/captured by the Japanese. Zamperini served as a Prisoner of War, where he was subjected to immense physical and psychological torture, until the war finally ended. 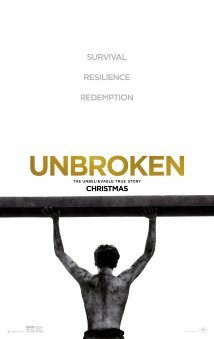 Zamperini’s story has long deserved to be made into a movie, and it has bounced around Hollywood since 1957. However, it wasn’t until Laura Hillenbrand’s biography on Zamperini became a best seller in 2010 that the film version was given the go-ahead. 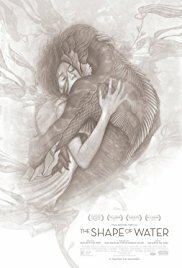 With screenplay credits for Joel Coen, Ethan Coen, Richard LaGravenese, and William Nicholson, cinematography from the great Roger Deakins (the first Air Force battle sequence is breath-taking), and a score from Alexandre Desplat, it was a bit surprising when Angelina Jolie was named director. After all, she only had one previous credit as a director, and that film (In the Land of Blood and Honey, 2011) was nowhere near the scope of this project. Given the true life inspirational story and the truly heroic events of its featured character, the film can best be labeled a mild disappointment. It is extremely impressive to look at, but somehow lacking in emotion … despite some excruciatingly uncomfortable moments. The film strives for the level of historic epic, yet its conventional tone and approach leave us wondering what’s missing. The single most effective and emotional moment occurs in a short clip of the real Louis Zamperini running as an Olympic torch bearer at age 80 for the 1998 Olympics (in Japan!). Jack O’Connell pours everything he has into capturing the spirit of Zamperini, and he is certainly an actor to keep an eye on. Japanese rock star Miyaki plays “The Bird” Watanabe, a sadistic POW camp commander who brutalized Zamperini, but Miyaki lacks the chops to pull off this crucial role – going a bit heavy on the posturing. The film uses the line “If you can take it, you can make it” as its rallying cry, but too many gaps are left for the audience to bridge as we watch Louie go from a punk kid to a war hero with almost mystical courage and perseverance. Other supporting work comes from Domhnall Gleeson, Garrett Hedlund, Jai Courtney and CJ Valleroy (as young Louie). On paper, all the pieces are in place for an Oscar contender, and the film may very well play well with voters. My preference would have been to have the real life Louis Zamperini more involved … through either narration or interviews. He spent the second half of his life as a motivational speaker and story-teller, and would have added an incredible element to the film. Unfortunately, Mr. Zamperini (pictured left) died 4 months prior to the release of the film so he never saw the finished product. It’s likely he died knowing that his legacy is part of American history and that he did in fact “make it”. Greetings again from the darkness. This year’s holiday movie season has presented us with three very different war-based films – each a potential Oscar contender, and each with its own life lesson. Norwegian director Morten Tyldum (the excellent Headhunters, 2011) brings Andrew Hodges’ biographical book to the screen in the form of the remarkable and true story of Alan Turing, the man credited by many (including Winston Churchill) for helping win WWII. Alan Turing was a brilliant mathematician and cryptoanalyst. He was also homosexual. Celebrated for his work in helping Great Britain crack the German’s “Enigma” messages, he was also persecuted (through chemical castration) for his homosexuality. His suicide at age 41 (1954) was the likely result of his “treatment” during an era when such “unacceptable” behavior overshadowed any and all mental genius. The film utilizes Turing’s 1951 police interrogation by a sympathetic and curious detective (Rory Kinnear) as a framing device for the three significant time periods of his life. We see Turing as a bullied schoolboy (played by Alex Lawther) discovering the early signs of his own brilliance, as well as his first love. Most significantly, we witness Turing’s work with the Hut 8 team at Bletchley Park as they worked on complex code-breaking; and finally we see the remnants of a broken man, bathed in solitude and work, who has no real place in society. Benedict Cumberbatch gives an astounding performance as Alan Turing. We cannot take our eyes off of him, despite his Asperger’s-type social awkwardness. Cumberbatch manages to expertly capture each extreme emotion that befalls Turing, not the least of which is the frustration of the genius, when lesser minds are unable to follow his vision. Some of the best scenes are of Turing’s confrontations with a Royal Navy Commander (perfectly played by Charles Dance), and of course, the critical moments with the other members of his code-breaking team (including Matthew Goode and Keira Knightley). There are so many aspects to Turing’s story: his impact on ending the war, how society treats true genius, his isolated childhood and final years, the extreme lack of civil rights for homosexuals of the time, and how his work on “Christopher” led to the development of computers. 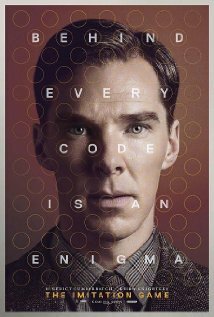 The second half of the film certainly presents the moral quandary, and the performance of Cumberbatch as a tortured genius overpowers any clichés that might creep in. Alexandre Desplat’s piano and strings score is a nice compliment without ever becoming overbearing, and the use of actual war newsreels adds just enough reminder of what the mission was for this group of geeks (today’s terminology).